Well, first things first – thanks for stopping by! My name is Edd. This site has devoured thousands of hours of my life since I started in May 2011. It’s great to know that it’s being found and is being appreciated. As of October 2016, around 75,000 ‘unique visitors’ reach exploring-castles.com every month. I’m very grateful to everyone who stops by. I’ll keep on writing for as long as visitors keep on coming! Me! In front of Edinburgh Castle. I’ve been on many adventures around the world and exploring-castles.com is the result of days out in Europe, and my interest in History and Geography, alongside my passion for photography. I’m a bit of a tragic, suppressed academic – I’ve got a BA, an MA, a CertHe, and a MBBS (meaning I’m a qualified medical doctor). Anyway, when I’m not typing frantically on my Mac, I enjoy hiking, travel, and reading fiction on my Kindle. There’s something which really grabs me about castle ruins. It’s something a bit desolate and also a bit spooky – they’re a little comment on the impermanence of human achievement. It fascinates me how our great, great (etc!) grandfathers thought made such monuments to power and prestige – but now, only shreds and ruins of these remain. I’m particularly interested in the Romantic re-interpretation of castles in the c18th and c19th – when the Victorians discovered these majestic, decaying monuments; and when the gothic artistic movement was born. What’s your favourite castle of all? This is a question I get all the time, and inevitably I’m going to give a cop-out answer! There’s a great number to choose from and it’s very hard to give an all-out favourite. I think that Burg Eltz, in Germany, is definitely the most photogenic castle I’ve ever seen. If you tackle the 45 minute walk to the castle, it sort of appears out of nowhere from the misty woodland – it’s a quite magical, to be honest. 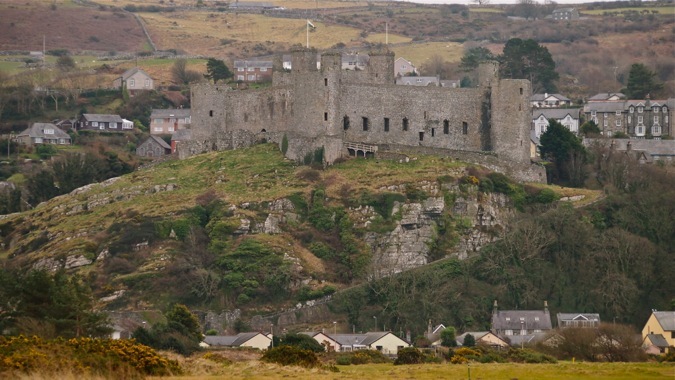 If you’re looking for the most impressive castle, that’s got to be Harlech Castle in Wales. It’s a vast hulk of a fortress, with windswept views over an expense of North-Wales-nothingness. It’s very special. From a sentimental viewpoint, Goodrich Castle is unbeatable – it’s in my home county of Herefordshire but, even without the rose-tinted spectacles on, it’s a really impressive little fortress made of beautiful sandstone. I’d like to know more about the military history behind these castles. Sorry, this really isn’t my specialism! 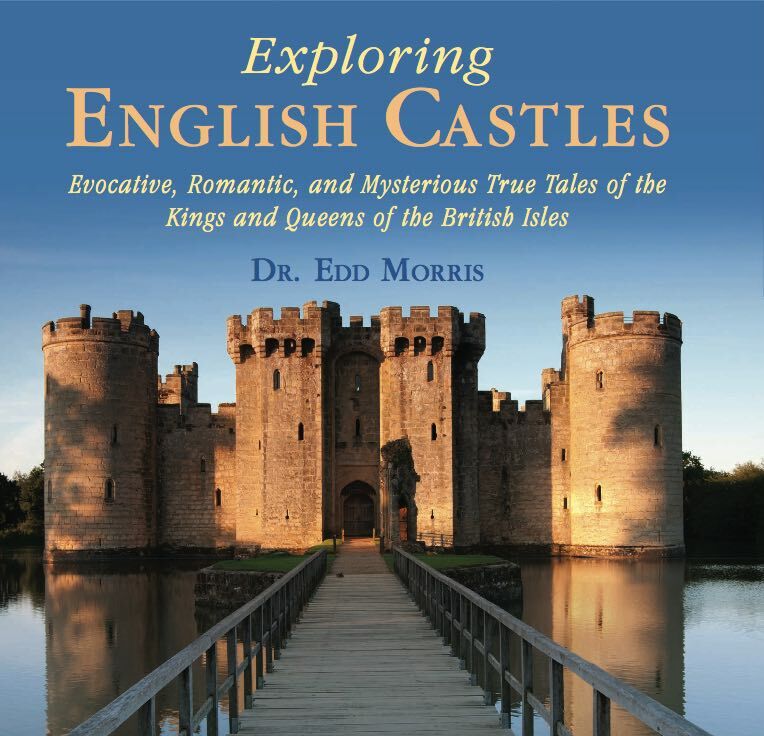 My passion is for the arts and humanities – and so I enjoy writing about the human geography of castles, the feeling of visiting them, and the arts and literature these places have inspired. I’m really not a military historian, and so I don’t really touch much of it on this site. I’d prefer to leave it to experts, and you’ll find lots of text books and other bloggers who are much more knowledgeable on the subject. I’ve discovered – the hard way! – that a website is literally a never ending project. Writing the content and taking photos (my favourite part!) is the tip of the iceberg. Behind the scenes, there’s a vast amount of technical work – HTML, coding, hosting, and picture editing. Quite often, it feels like you’re running just to stay still. As this is an image-rich site, it also eats bandwidth – meaning that I can’t really justify the hours of my life and the hosting costs without earning a little money back. As a result, I chose to introduce display advertising from Google AdSense. I also provide occasional promotional links for Amazon and TripAdvisor. If you don’t wish for me to make commission on your purchases, just don’t click on these link. Instead, type the site name directly into your web browser and purchase it that way. So, you’ve written a book on castles, huh? I was thinking you’d never ask! My first book – published the NY publishing house, Skyhorse – was launched in April 2015. The book is a gorgeous, 10×10 inch collectible, chock-a-block with beautiful photos – there are more than 200 full colour images. You can find out more, and purchase your copy, here. Yep, indeed – I’d love to hear from you. If all else fails, there’s always my profile on Google+.